For more than 18 years, Attorney William Hall has protected the rights and futures of hundreds of people. Whether it is a case of mistaken identity or being in the wrong place at the right time, Attorney Hall promises to listen to his clients in order to build only the strongest cases. Additionally, he stands up for those who have suffered injuries due to the negligence of others. As one of the leading attorneys in Maryland's Lower Eastern Shore, Attorney Hall know what needs to be done to win each case. With reasonable fees and a dedication to professionalism, his client can rest easier knowing they won't feel rushed or belittled throughout the process. 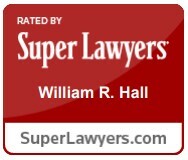 At William R. Hall, P.A., our staff will treat you with the courtesy and respect you deserve. We promise to deliver nothing but a thorough, professional criminal defense and personal injury representation when handling your case. If you would like to schedule a consultation or want more information, contact our office right away. We are ready to put experience and knowledge on your side. Call me at (410) 205-1684 to discuss your case.